Tarrant County could see watering restrictions well before the summer starts. While there's a chance of storms and rain in the next week, the state's drought conditions continue to worsen. Nearly the entire state is abnormally dry or in some level of drought. According to the U.S. Drought Monitor, 86 percent of Texas is in a moderate to extreme drought, including all of North Texas. The monitor also shows that 98.6 percent of Texas is at least abnormally dry, the highest percentage calculated by the monitor in the last year. However, if you open up your water bill or turn on the faucet, you might not ever know it. "You're right, you turn on the tap and the water comes out," said Mary Gugliuzza, of the Fort Worth Water Department. "We need to remember that it (water) is finite, it is not infinite." Some folks are already feeling the effects of the drought. "Well it's affecting our kids, because our kids are in the cutting horse industry and the cost of grain and hay and everything is going up a lot higher because of the drought," said Jim Johnson of Wichita, Kan.
For those not in the agriculture or ranch industries, the most noticeable effect will be lake levels as the drought conditions worsen. They are already nearly low enough to trigger water restrictions, perhaps the most noticeable effect to the water-using public. "We hope that we can avert it, but people need to be aware that we're getting close," Gugliuzza said. 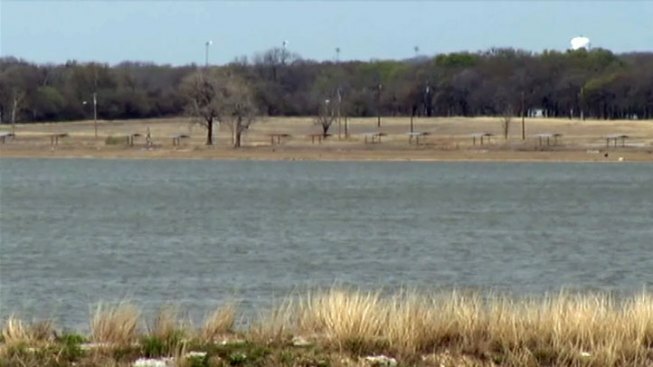 In fact, the Tarrant Regional Water District's website shows its water reserves are at 77 percent capacity -- just 2 percent higher than the trigger for restrictions. "That kind of concerns a lot of people, and they get mad and upset because they're having certain days where they can't run their water," said Jackie Carrizales, of Fort Worth. But experts say there's little that can be done to prevent or stop a drought -- it's how you prepare for one, usually by conserving long before you need to. "Be efficient now and all the time with the water to make it last longer and maybe delay getting in a restriction," Gugliuzza said. And while many folks do their part, experts say conservation is key to lessening the drought's effects. Despite the latest drought report, experts say North Texas is faring better than other parts of the state. They credit that to the fact that the region left drought conditions within the last two years and are only now back under them.